Without vigilance, pests can quickly overrun commercial facilities. 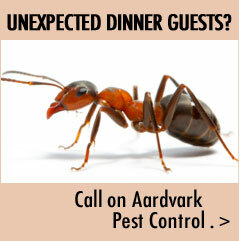 With Aardvark Pest Control Services, your business is in good hands. The majority of our work is in commercial pest control, so we are particularly well-suited to handle everything from everyday needs to the most challenging pest-related problems. We offer a comprehensive set of services for commercial accounts and customize our service offerings based on your particular environment. 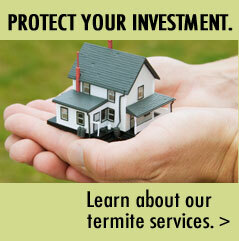 In addition to highly effective pest control, our specialized services include rodent control, small fly control, bed bug control, and bio-remediation.Our technicians use an integrated approach to effectively deal with the root cause of pest activity. Our expertise includes servicing a diverse range of facilities including shopping malls, newspaper publishers, office parks, and multi-unit housing complexes.We are experienced in handling the specialized needs of healthcare facilities, including hospitals, retirement communities, and nursing homes. We also service educational institutions such as schools, colleges, and universities. We recognize the need to demonstrate professionalism and discretion when servicing our broad range of commercial customers. Our technicians demonstrate the appropriate sensitivity and understanding that is required when interacting with all customers, but especially with patients, residents, students, and staff.